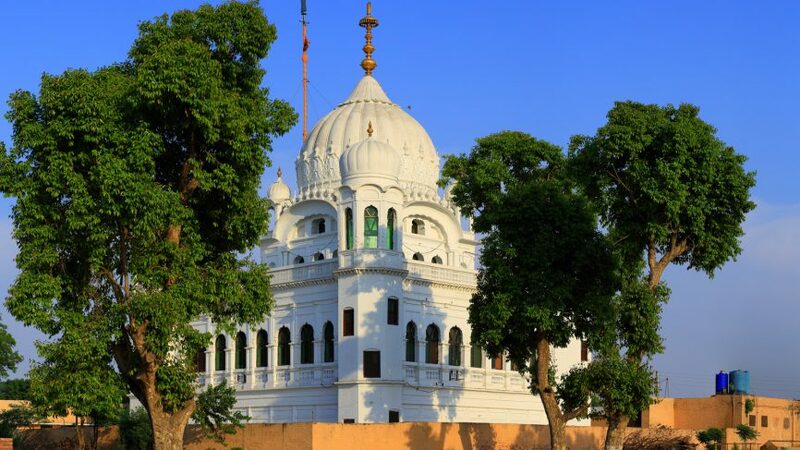 The previous week witnessed a rare breakthrough in Indo-Pak relations after India finally agreed to the development of Kartarpur corridor so that the Indian Sikh pilgrims can have visa-free access to Gurdwara Darbar Sahib. Proceeding with the idea of a corridor connecting Gurdawara Darbar Sahib to Dera Baba Nanak in Gurdaspur district in India has been widely appreciated by not only the Sikh community but also the international community. In 1988 Benazir Bhutto and Rajeev Gandhi agreed to build the passage. The proposal was later renewed and accepted. However in 2017, “a parliamentary committee in India turned down the proposal for not being feasible in view of the political environment. The idea got a fresh impetus at the swearing-in ceremony of Imran Khan”, writes Syeda Mamoona Rubab in an article published in The Friday Times. Since the Chief Minister of Indian Punjab Captain Amarinder Singh turned down the invitation and the Minister for external affairs, Sushma Swaraj, excused herself citing prior commitments, the Indian side was represented by Union Ministers Harsimrat Kaur Badal, Hardeep Singh Puri and Indian Punjab Minister Navjot Singh Sidhu. The Indian media, as expected, went crazy after the ceremony in Pakistan. They labelled Sidhu as “pro-Pakistan”. While some called him a traitor for leaning too much towards Pakistan, others demanded his immediate resignation. One of the leading news channels of India had a hashtag running all day long: #PakInsultsIndia. The presence of Gopal Singh Chawla, famous for his anti-India stance, at the ceremony irked the Indians and the cherry on the top was a picture being shown on Indian media where Chawla and Sidhu were shown posing in the same frame. One of Imran Khan’s statements was portrayed as endorsing Sidhu as the next PM of India. The final nail in the coffin was Imran Khan’s mention of Kashmir in his speech. Sushma Swaraj made it clear that the corridor ceremony is only a religious event not a political one, it does not indicate a start in bilateral talks and Indian Prime Minister will not attend SAARC summit if it is to be held in Pakistan. Anger of the Indian media and politicians was not the real problem. To be honest, it was a really good opportunity for Pakistan to take a higher moral ground, stay calm and let the world watch India’s rough reaction to a heartwarming event. The opening of the Kartarpur corridor holds immense significance and the Indians going berserk over it would have only supported Pakistan’s stance of going an extra mile for peace and stability in the region. But then our Foreign Minister made a comment. He said that the Prime Minister Imran Khan “bowled a googly at India by opening the Kartarpur corridor,” and India fell for it. There was absolutely no need for saying this. The experienced Foreign Minister should have known that the kind of language that his party members use in parliament for domestic politics should not be used for critical matters of international relevance. He got bowled out on this googly. Every effort made by Pakistan has now been called into question. Indian media got a justification for their claims. Harsimrat Kaur tweeted, “I urge Pak PM to take action against his minister for hurting sentiments of Sikhs and peace efforts by equating attendance at function at Sri Kartarpur Sahib with trapping India by bowling a google. Nothing can be more disgusting than this.” Sushma Swaraj, the external affairs minister, tweeted, “ Mr.Foreign Minister of Pakistan – your ‘googly’ remarks in a dramatic manner has exposed none but YOU. This shows that you have no respect for Sikh sentiments. You only play ‘googlies’. So who is facing googlies now? Foreign minister and the Prime minister mentioned to reporters that they understand that India has taken such a stiff position vis-à-vis Pakistan because of the elections. What they do not realize is that there are good chances that the same government will make a comeback in India. Then what? Kartarpur is a great opportunity but not the only one. Concrete steps have to be taken by India and Pakistan. If Kashmir is an issue for Pakistan, terrorism is an issue for India. Nothing will matter or work unless governments take solid steps and refrain from actions and speeches that are currently in play. No more googlies please, just good line and length would suffice.